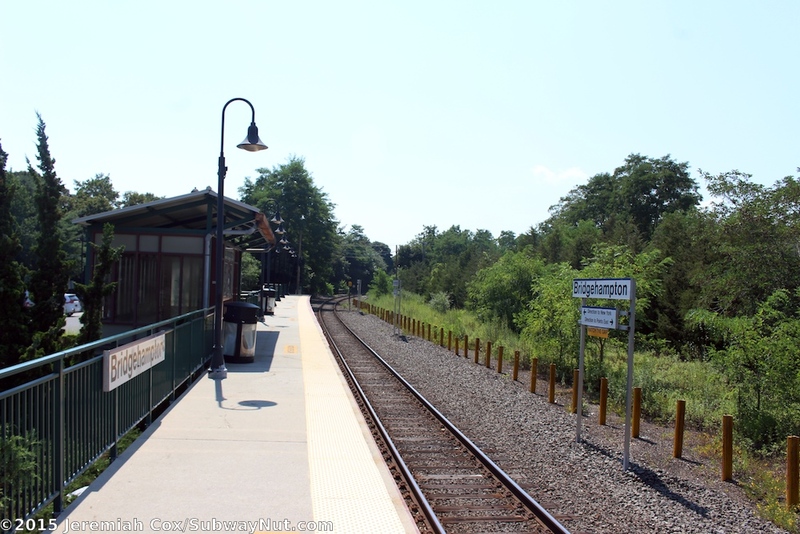 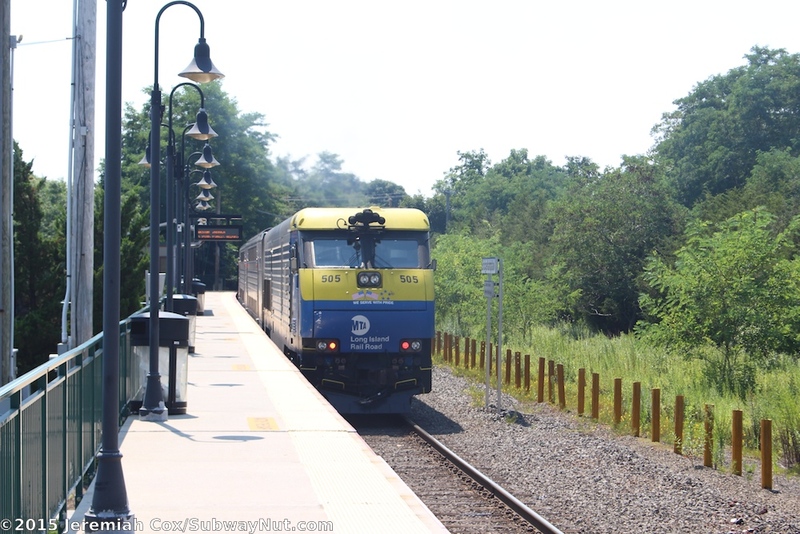 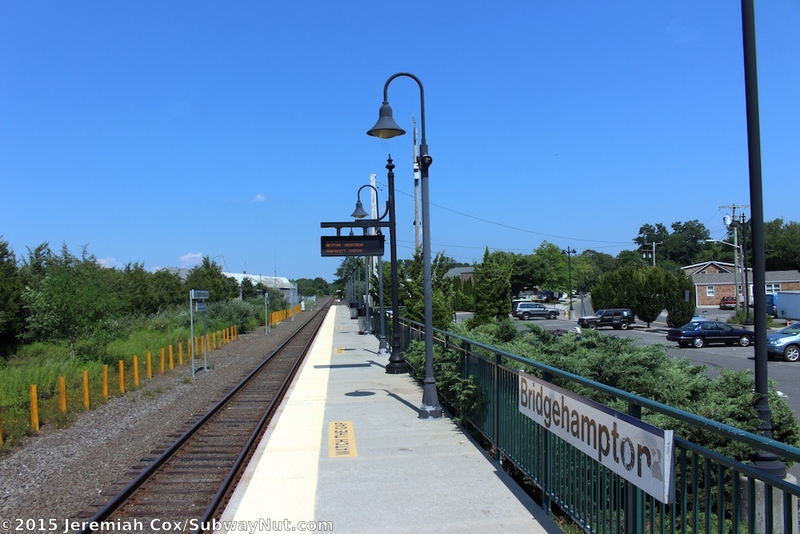 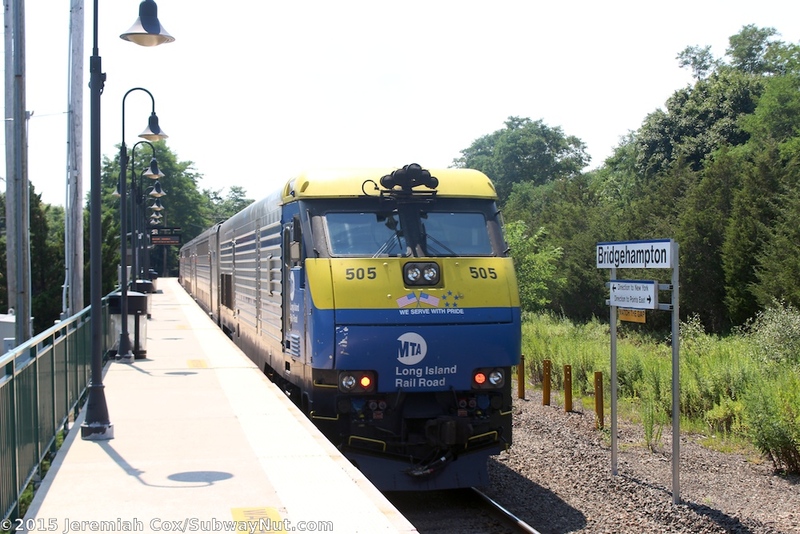 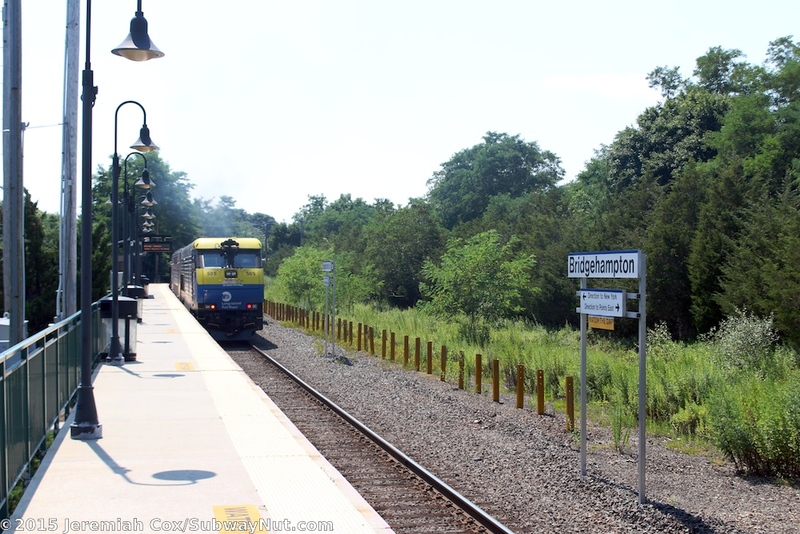 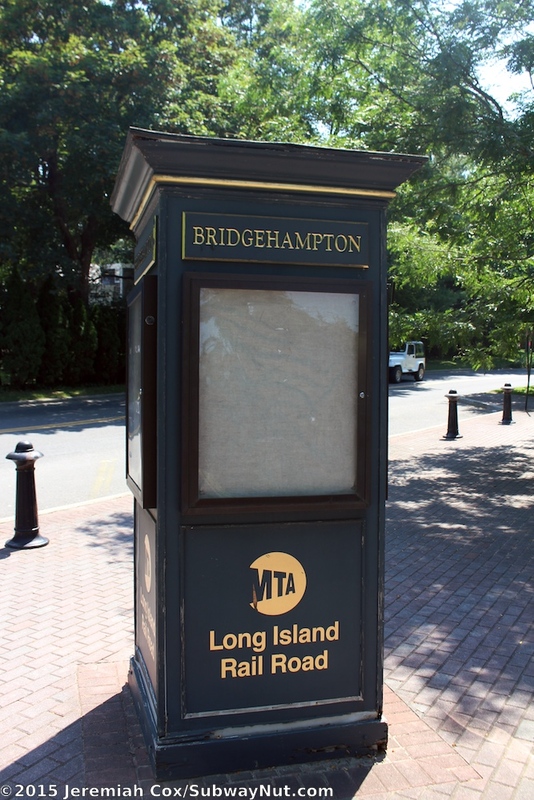 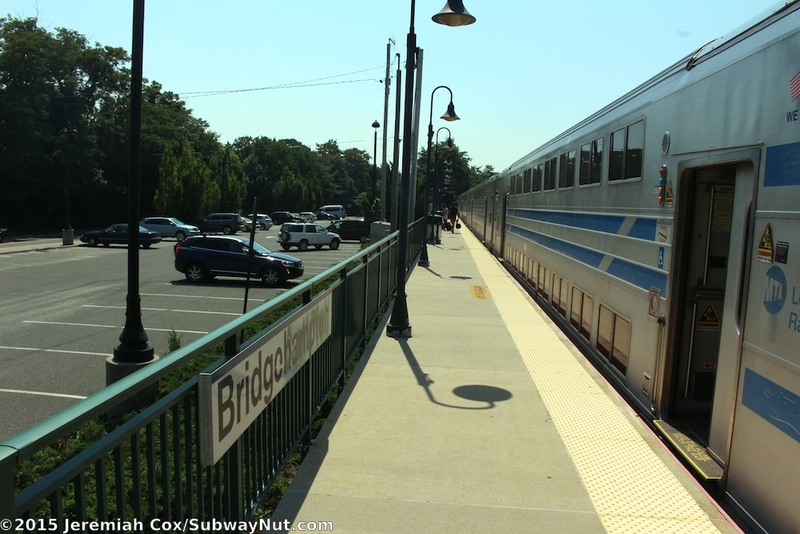 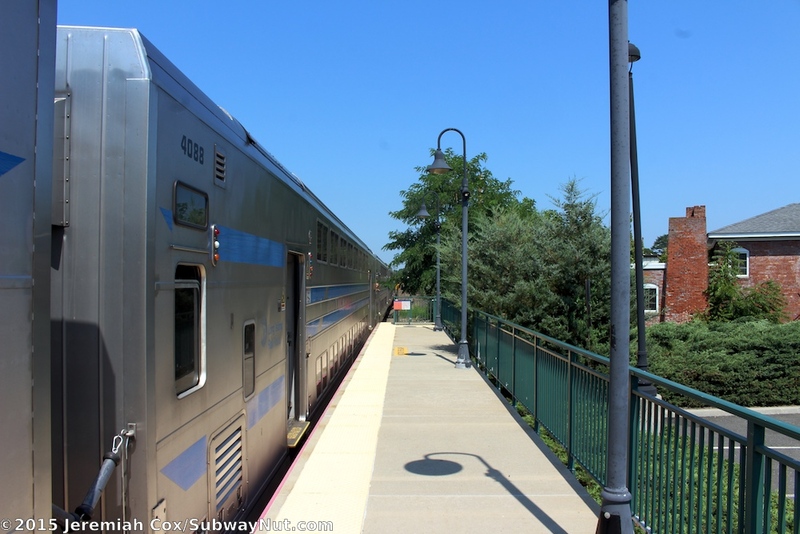 Bridgehampton is a simple LIRR Station with a single high-level platform that can accommodate 6 cars to the south of the main track. 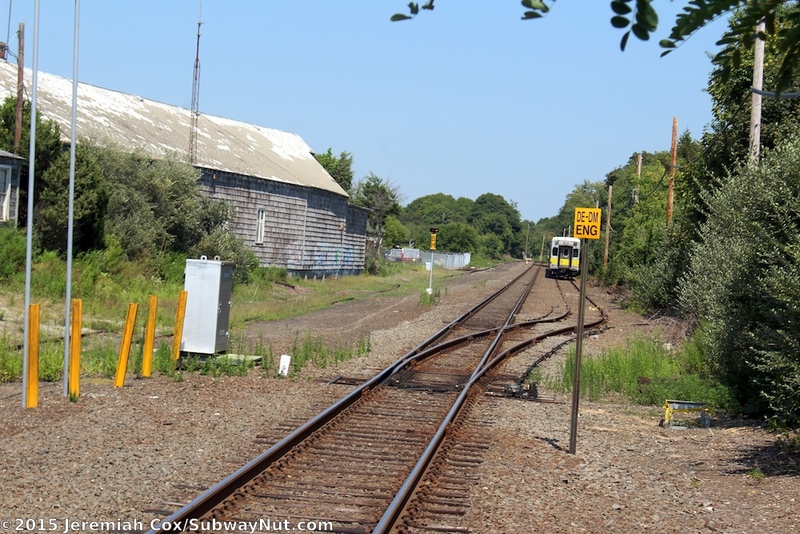 Just east of the platform to the south of the main track is the BH siding. 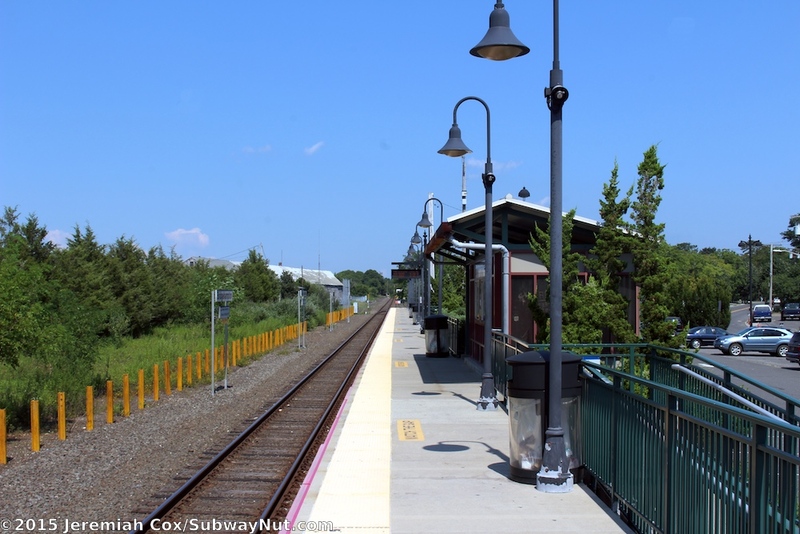 It has manually controlled switches at each end and is used occasionally for LIRR trains (such as a Summer Sunday seasonal extra train that originates at the station). 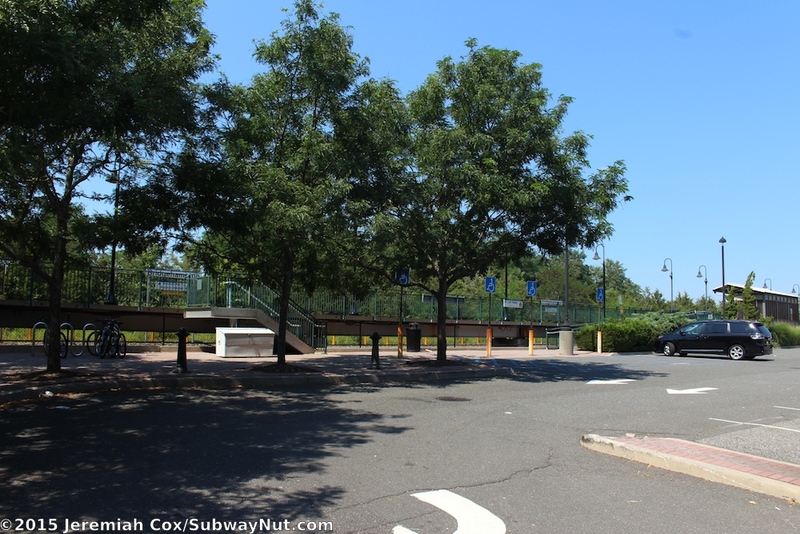 The 6 car platform is extremely simple with just a tiny shelter structure with a green and cream windscreen surrounding the stations only bench just south of the middle of the platform. 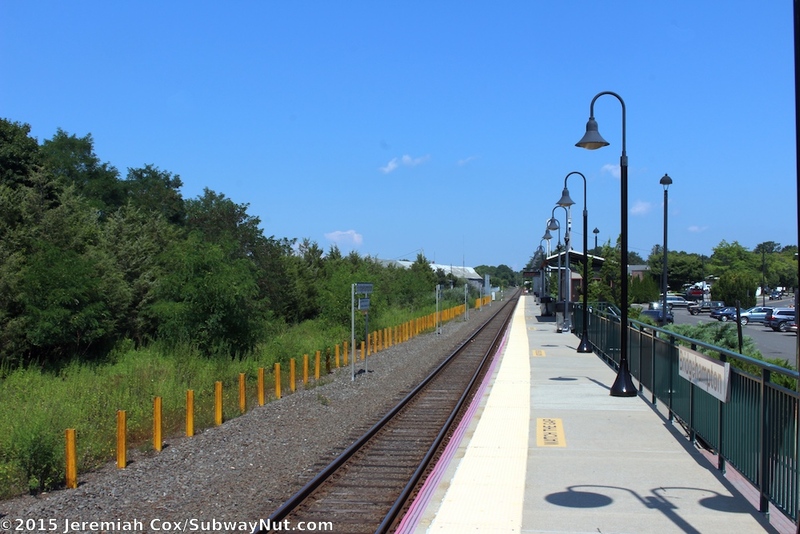 There are no porches extending from this shelter as at other simple stations built during the final round of high-platforms in about 1998. 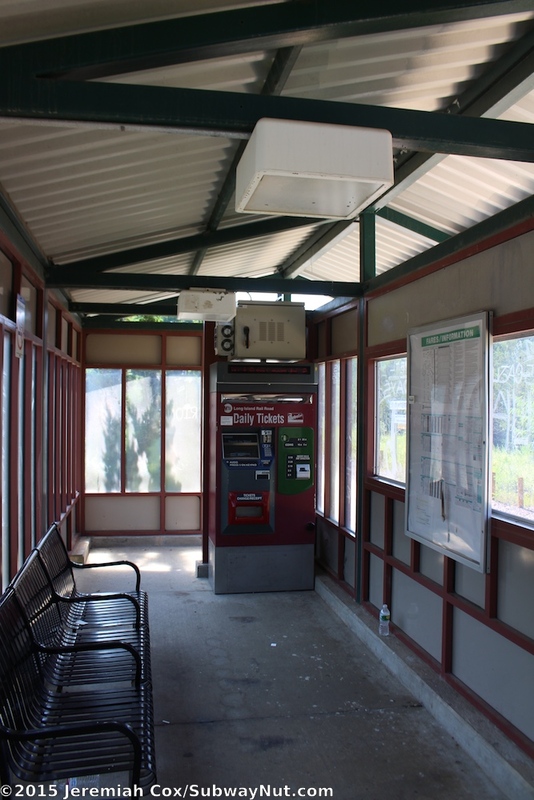 The stop received a TVM directly inside the shelter in August 2013. 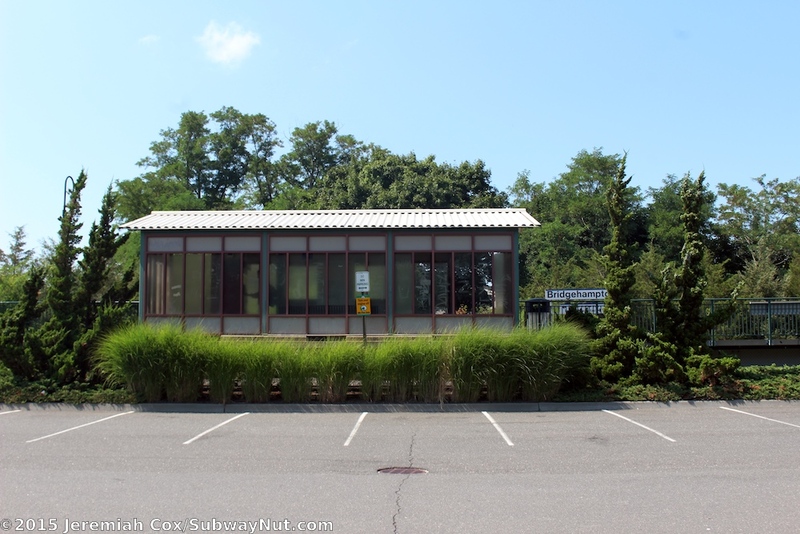 The platform has only three forms of entry down to the 100 space parking lot that runs the length of the platform (with one single aisle of parking on each side) between parallel Maple Lane. 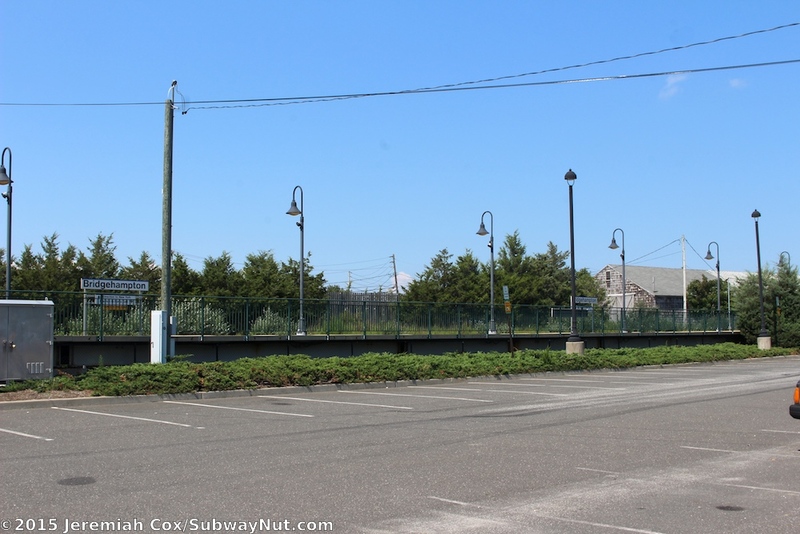 Plantings separate the platform from the parking lot. 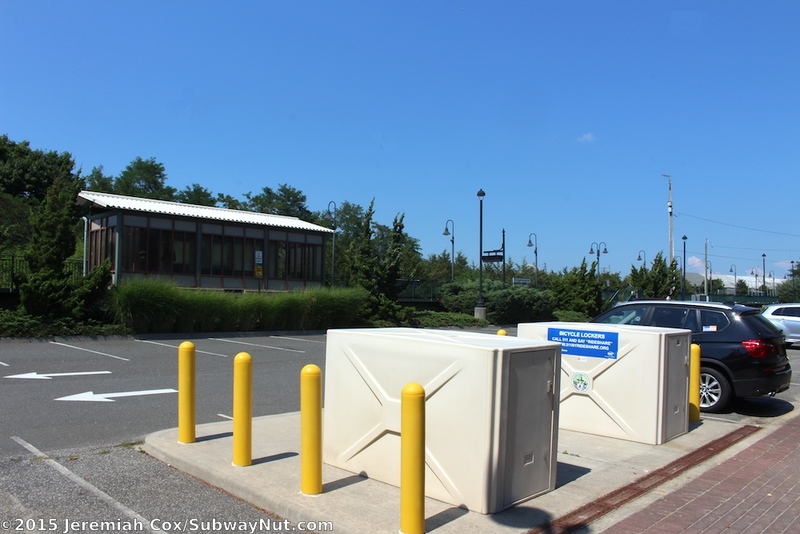 Two bike lockers on a concrete pad have been built over a few of the parking spaces. 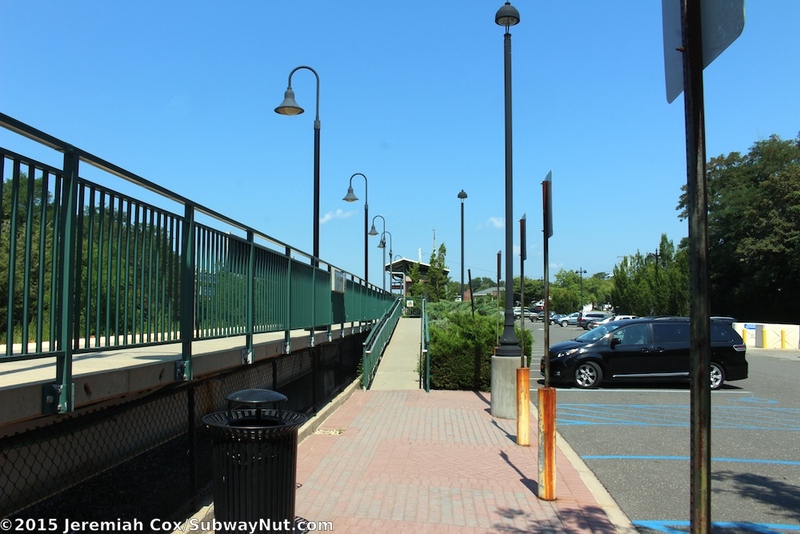 Towards the western end of the platform a ramp, starting just beyond the canopy and staircase lead down to a small plaza area that I have a feeling was where the original (shorter?) 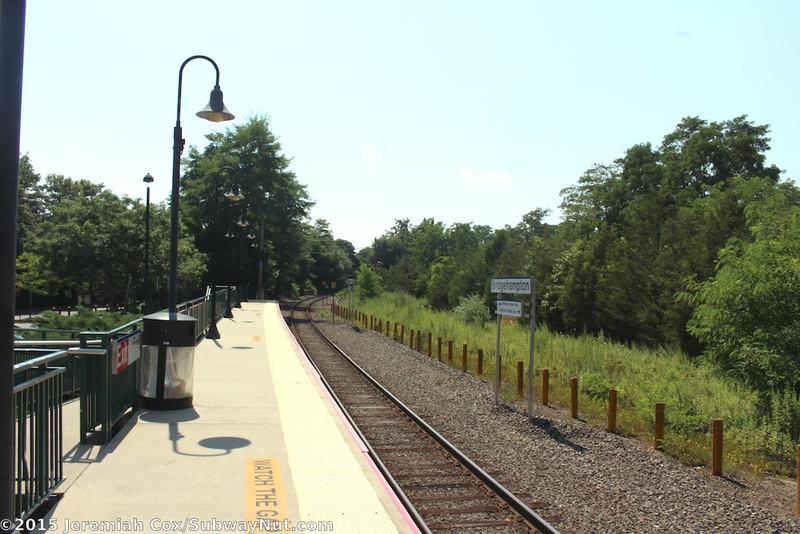 low-level platform was. 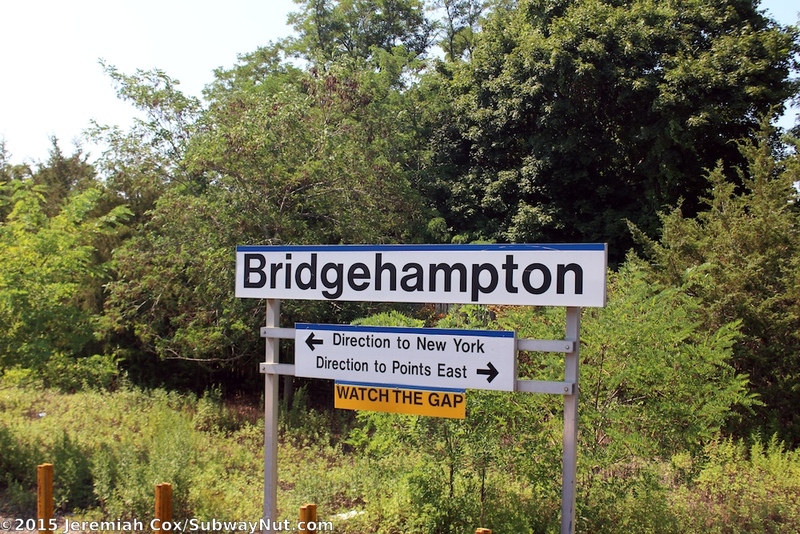 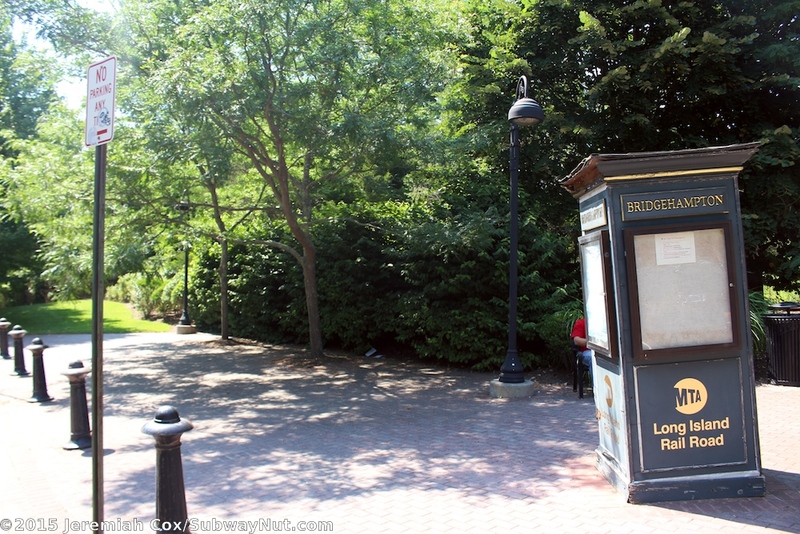 There are a few benches and a square wooden information panel with Bridgehampton written on gold above (it is identical to the one found in front of the old low-level platform area at Speonk).